Mobile devices, including smartphones and tablets, are enabling employees to work outside the confines of the traditional office. 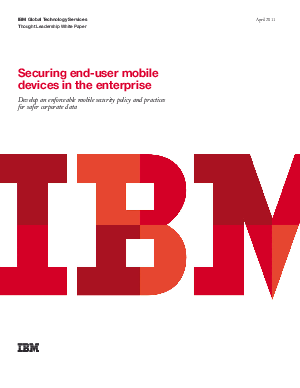 This white paper discusses how mobile devices accessing enterprise data can pose security risks. Suggestions for mitigating risk through authentication, data encryption, malware, viruses and mobile security are also addressed.